Here’s a small compilation of mindfulness exercises. Keep in mind that these are tools and nothing more. Exercises are not what mindfulness is about, but will help you experience certain states that will ultimately lead to what mindfulness really is, which is discovering who you really are. 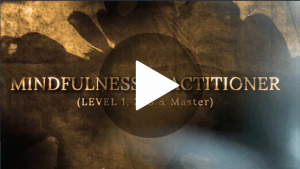 This video will do a good job explaining what mindfulness is, and once you get that, feel free to use these exercises. Grasp your hands really tight and hold for a 5 to 10 seconds, then release and pay attention to how your hands feel. Keep your attention focused on the feeling for as long as you can. Stare at any object and try to remain focused on just that object for as long as possible. Keep a mental watch on when your mind starts to wander, then just bring it back to the object. The longer you can remain focused, the more your mindfulness will increase. 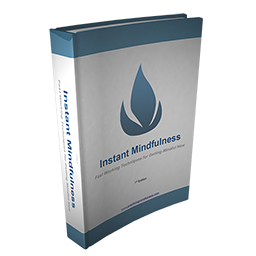 One Awesome Course on Mindfulness. Pinch your arm and pay close attention to how it feels and what your emotions begin doing. Pay attention to the pain it causes, and how it radiates out from the site where you pinch. This exercise can really tune you in to how your body deals with discomfort and what emotions rise. Do you get angry when you feel pain? Listen to your favorite song and pay attention to how it makes you feel. What emotions stir? What memories come up, and how do those memories make you feel? Engage the emotions and see where they lead. Smell something strong like coffee beans or perfume and pay close attention to what happens in your nose, and then what feelings these scents evoke. Just as in step 5, but with taste instead of smell. Sit and relax, and imagine yourself melting into everything around you. You might begin to feel at one with everything after some practice. Wherever you are, just stop and look around when safe to do so. Become aware of everything that your senses pick up. How do you feel? Do you feel over-stimulated? Do you feel anxious? Spend an hour or two in complete silence, and just absorb your surroundings. Earplugs might help this exercise. Take one long held belief and pretend that you believe the direct opposite. Make a mental note of how you feel and what thoughts come into your mind. 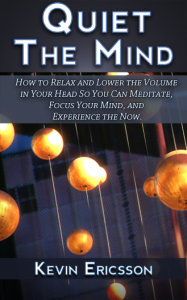 Quiet the Mind – This short book is packed with useful tips that you can begin using immediately. Instant download from Amazon for half the price of your next Latte. 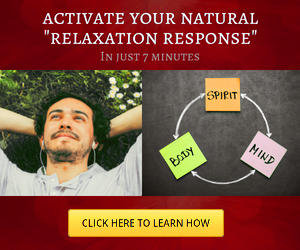 Click here for the next segment: Guided Meditation, it’s awesome! Thanks Dion, glad you can use it and benefit from it!